Let’s be honest. Perth gets it pretty easy when it comes to Winter. We feel a certain level of smugness when our eastern states friends are dealing with below zero temps, howling, bitter winds and relentless rain. However sunny our Winter days might get, it generally doesn’t stop us Perth locals from donning our ug boots, layering up with chunky knits, wrapping our hands around a mug of hot coffee and cranking the heater up. Whilst the blast of the warm heater feels good at the time, we need to remind our salon customers that the dry heat at their home or office as well as the cold Winter air can deplete the moisture in their hair. Many of us notice (and fix!) dry skin and chapped lips during the cooler months, but we often forget to extend the same courtesy to our hair. Lucky Hair Mart has the goods to keep you and your customers manes well mainained! L’Oreal Absolute Repair Masque, it’s designed to target each part of the hair fibre according to the level of damage (available in 200ml and 500ml). MoroccanOil Intense Hydrating Mask. Ideal for thick hair, the high-performance, argan oil-rich formulas deeply hydrate and condition while dramatically improving hair’s texture, elasticity, shine and manageability. Tick, tick, tick! (available in a cute 75ml, 250ml and 1L). 2) Always fully dry the hair before leaving the house/salon. Not only is it unpleasant with damp hair out in the cold, but the moisture in the hair combined with the cold air will cause it to become brittle and dry. As you’re drying off/ blow drying your clients hair, make sure you let them know they should also always be using a thermal protector when using any heat appliances. Not sure what to recommend? Affinage Black Ice Thermal Shield 250ml for ultimate thermal protection with added moisturisers for continuous protection. 3) Let leave-in moisturisers become your best friend. We think Davroe Luxe Leave in Masque 200ml is the ultimate everyday moisturising protector. It forms a non-oil barrier to protect against the elements. Prefer the convenience of a spray? Best-selling leave in conditioner, Pravana Nevo Intense Therapy 300ml is an intensely amazing leave-in treatment that is weightless, and contains strength-building proteins for added strength and health. 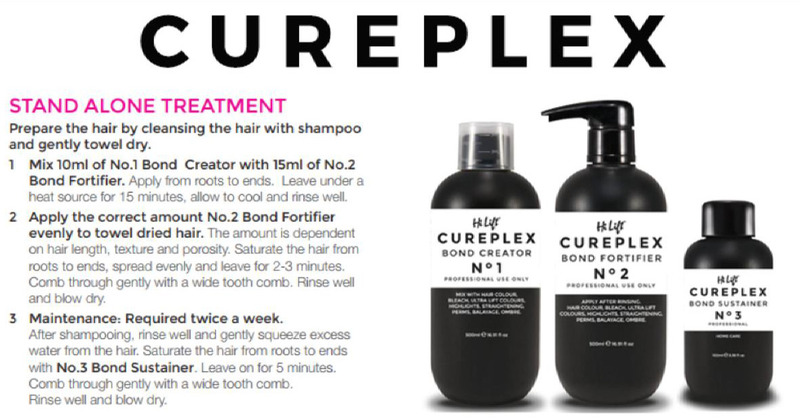 4) Invest in a ‘plex’ treatment at the salon. 5) Use a good hairspray before you leave the house. Don’t let that pesky wind ruin your styling efforts. The Keune Brush Out Lacquer 400g walks out the doors every month – it’s a big hit amongst our customers. It’s a specially formulated hair spray which provides a versatile strong long-lasting support. Why we love it? It’s instant drying, it’s non-sticky and it provides a hold which can be flexible or rock hard. It brushes out instantly and does not leave product flakes behind. Perfection in a can. Have you got any hot tips for keeping locks luscious in Winter? Share them below.